Merry Christmas (again!) in Four Scenes from MCC! « Midlife Crisis Crossover! Merry Christmas (again!) in Four Scenes from MCC! 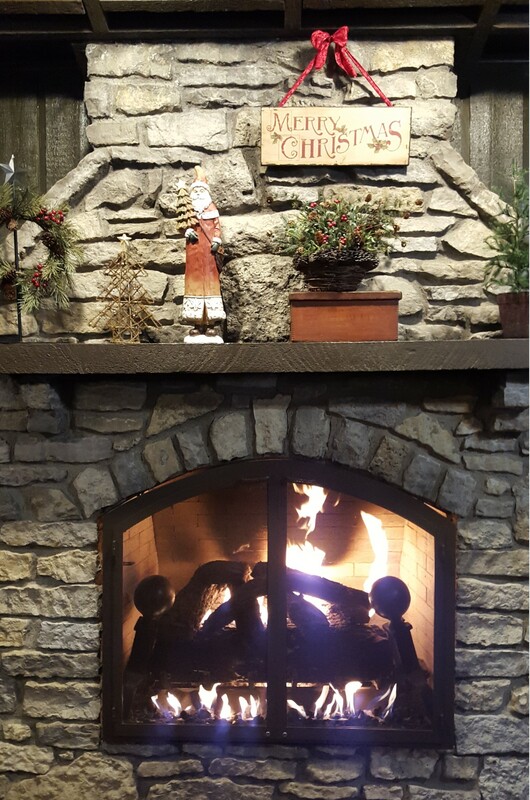 The festive fireplace at Mooresville’s own Gray Bros. Cafeteria, as seen on TV’s Man v. Food, one of my wife’s all-time favorite restaurants. 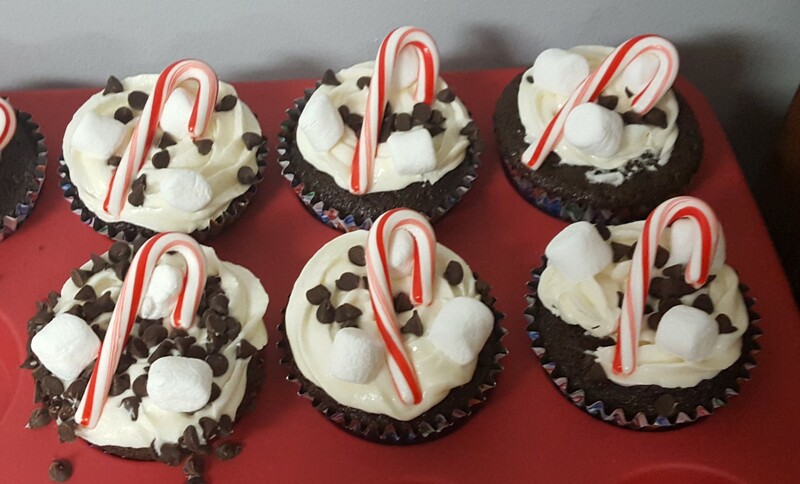 Mint chocolate cupcakes, winner of Best Presentation at our Saturday morning family gathering. 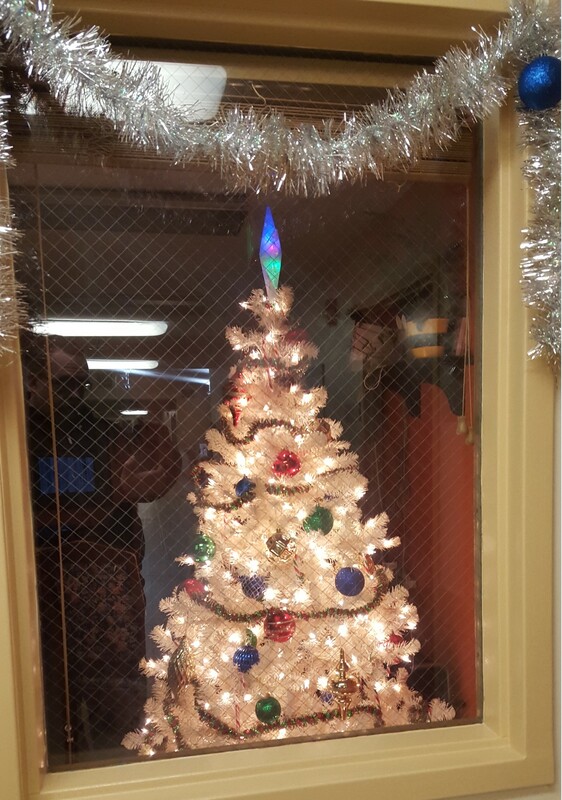 Christmas tree oddly behind a locked door at the rehab center where Anne’s Mamaw recently stayed. She was thankfully released in time for Christmas, but not yet ready to go back to fighting in her weight class. 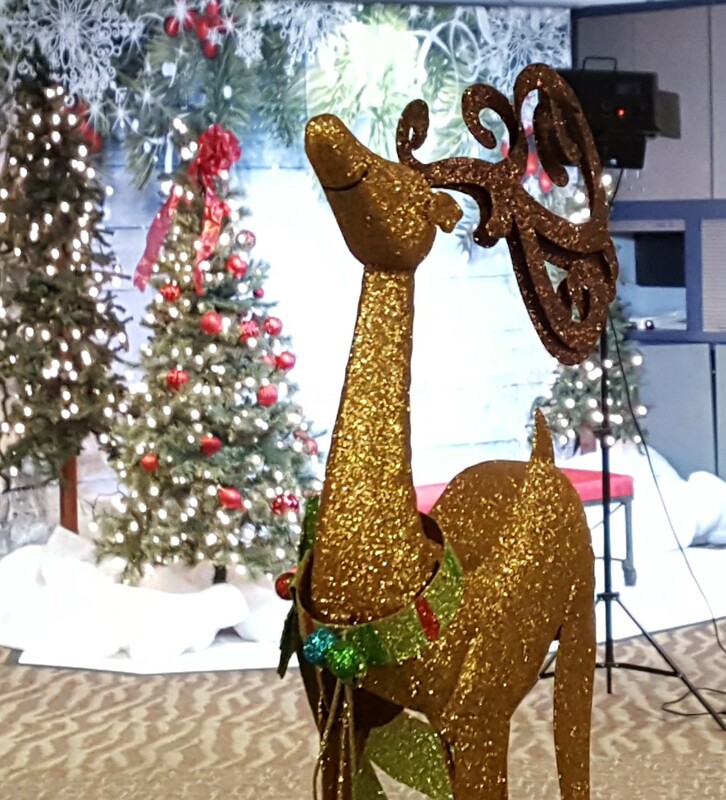 Reindeer centerpiece in the lobby at our church. 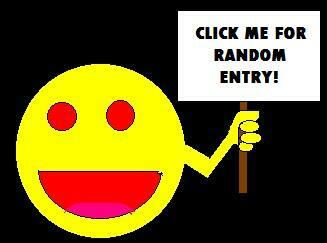 In the background, a photo-op setup we totally forgot to use for our own selfie benefit. Something for us to look forward to next Christmas, then.